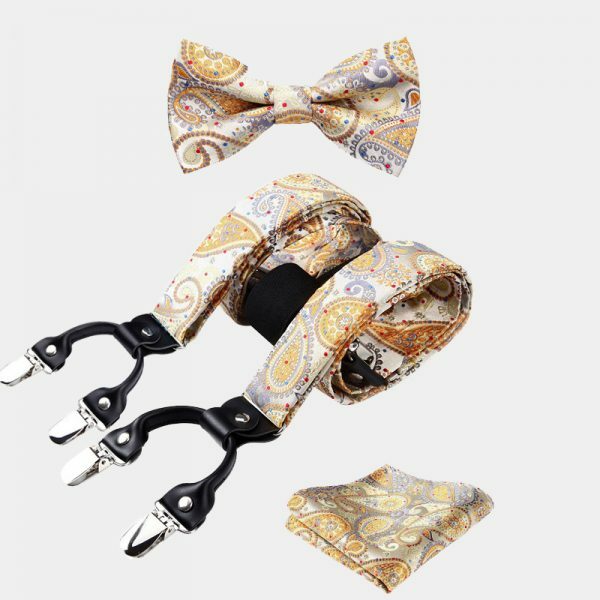 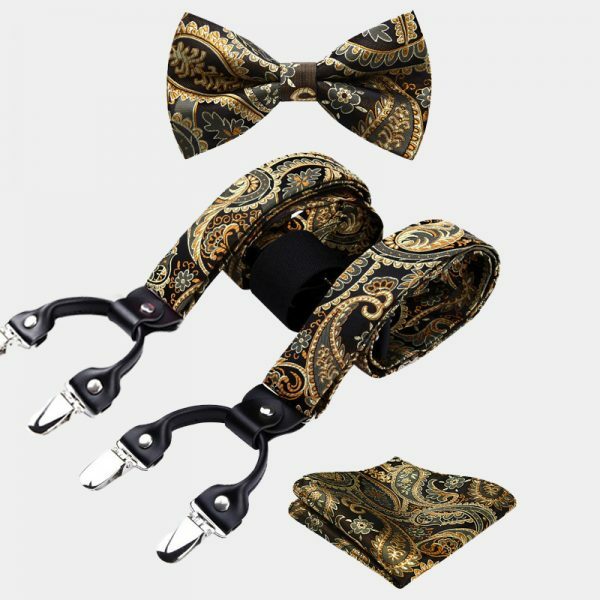 This gentleman’s gold paisley bow tie and suspenders set lets you add style and class to your accessory collection without breaking the bank. 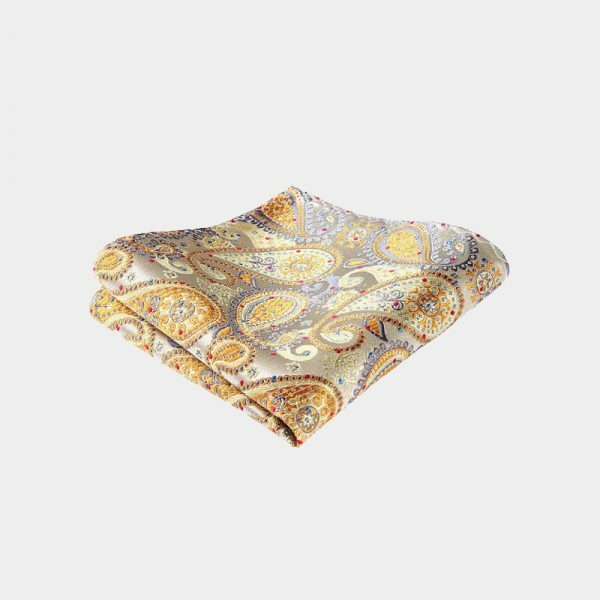 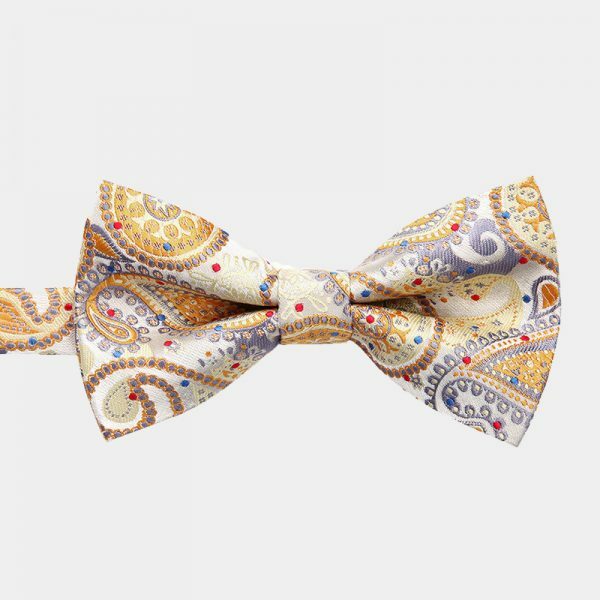 The classic paisley pattern and beautiful colors create a striking combination that enhances any ensemble. 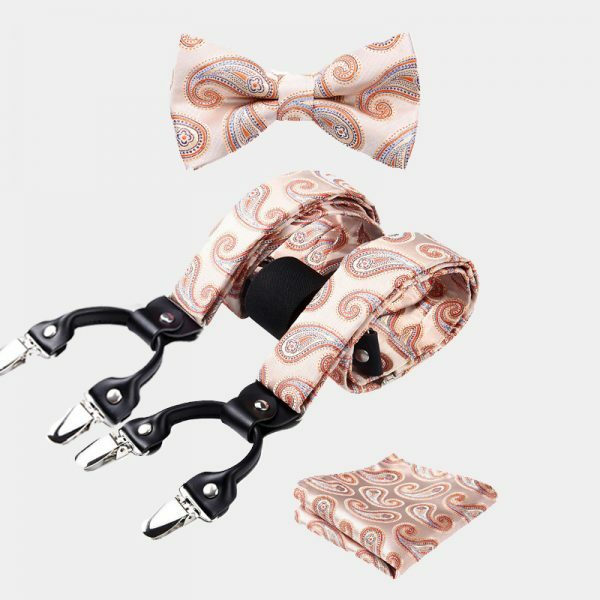 These sets make a smart and elegant choice to pair with your business, casual and formal wear. 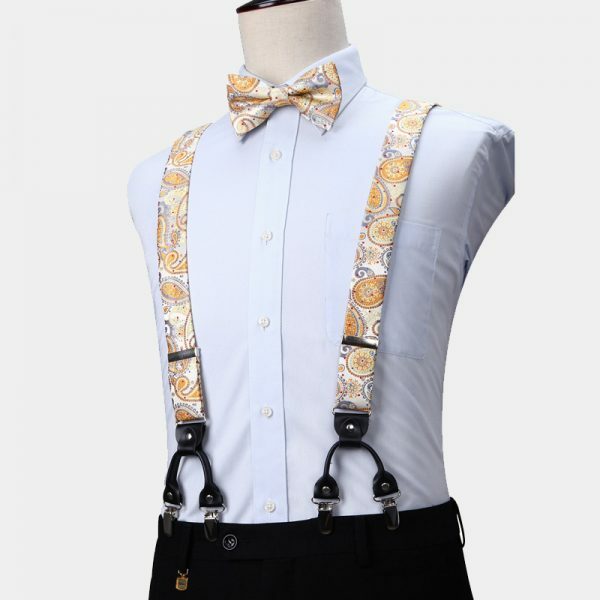 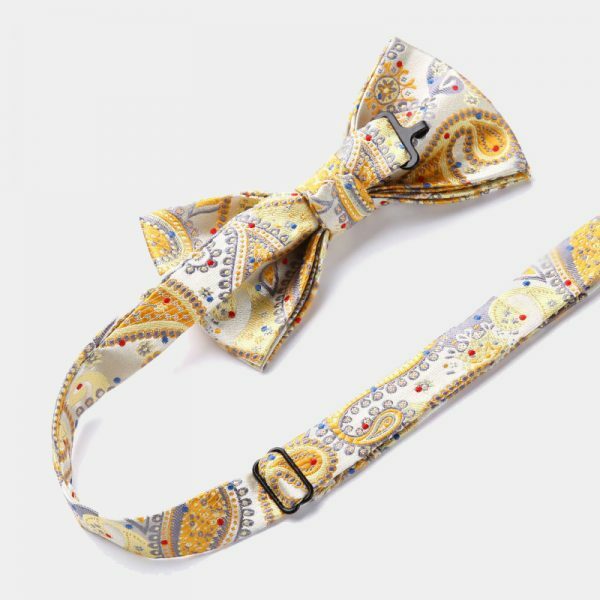 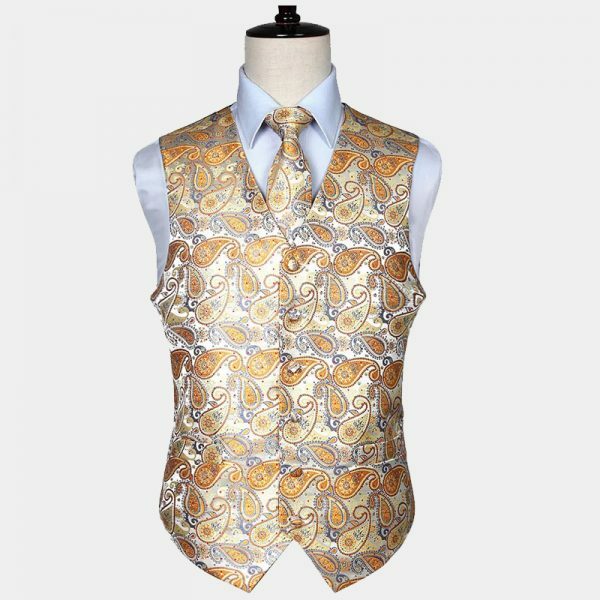 Each piece of this gentleman’s gold paisley bow tie and suspenders set is handmade using high-quality materials. 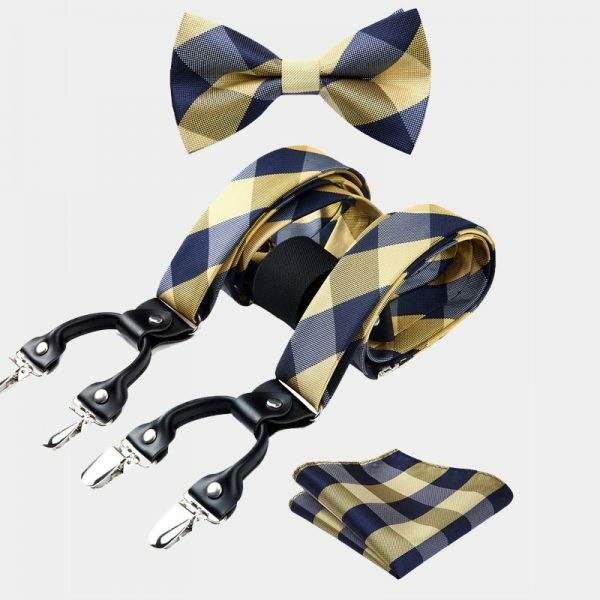 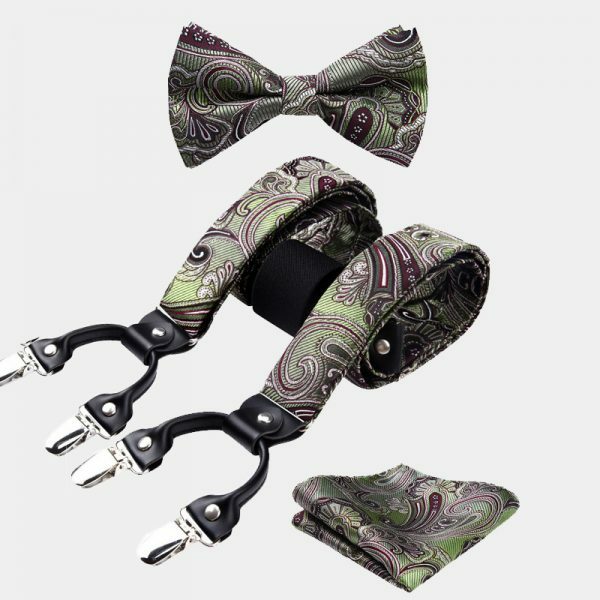 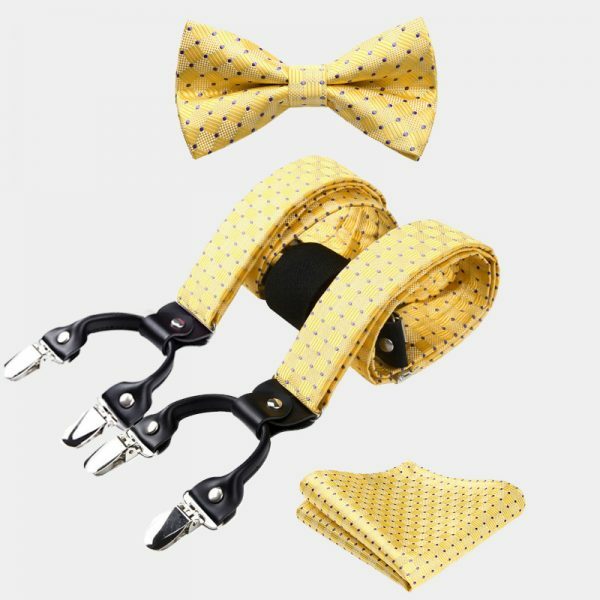 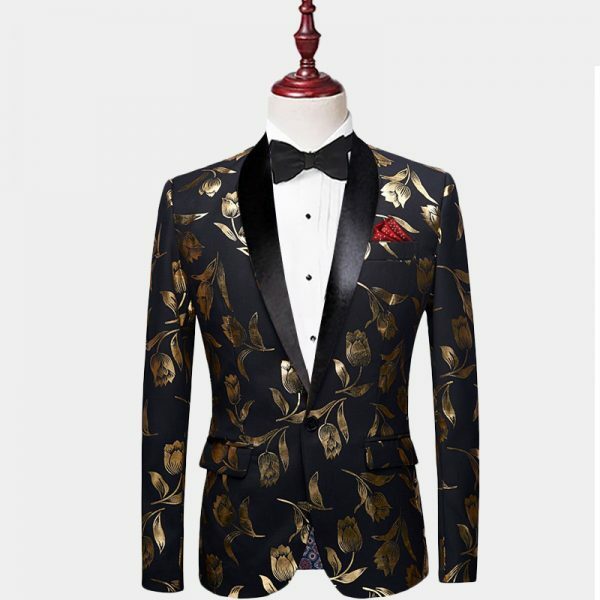 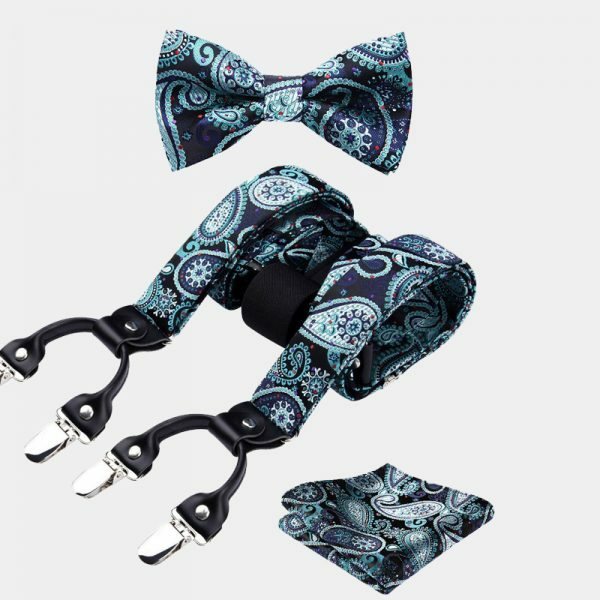 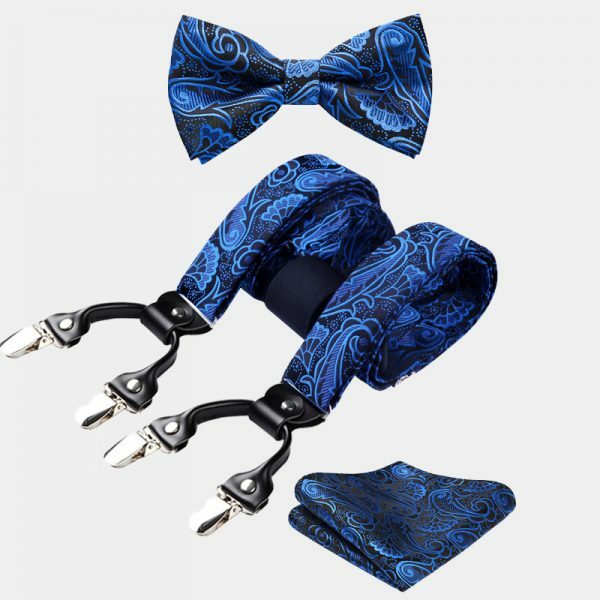 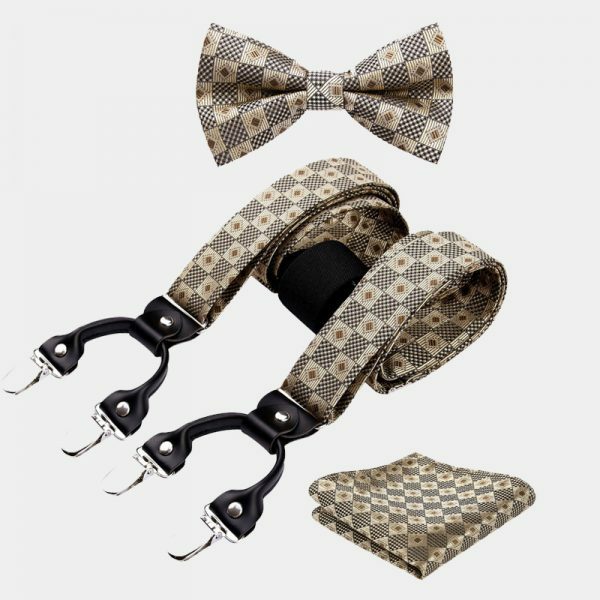 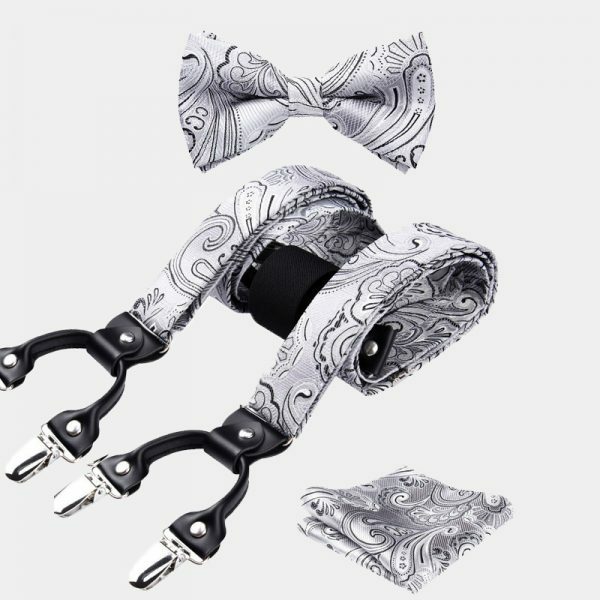 The set includes a matching pocket square, pre-tied adjustable bow tie, and suspenders. 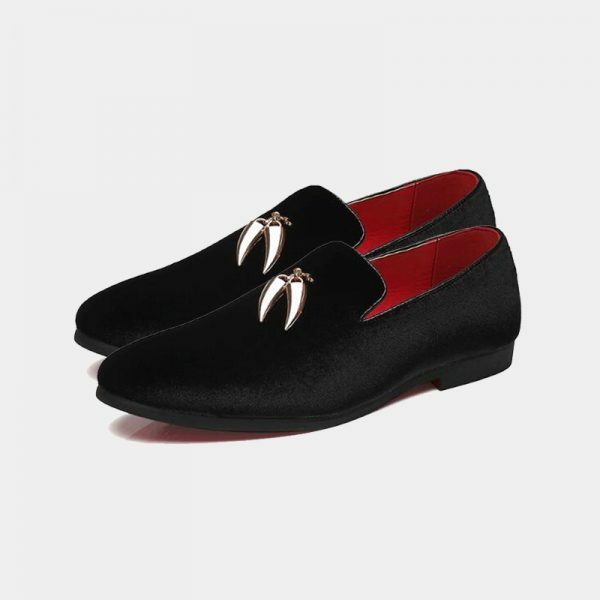 Not only are they gorgeous but they are also comfortable as well as durable. Take your accessory game to a whole new level with this handsome gold paisley bow tie and suspenders set and get yourself noticed for all the right reasons. 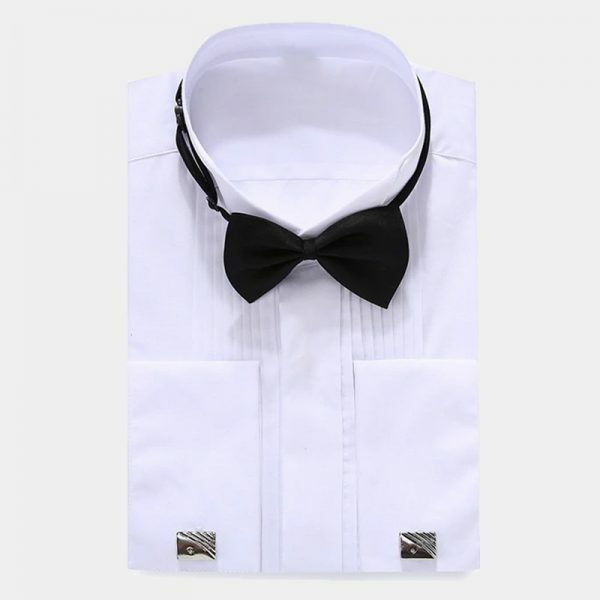 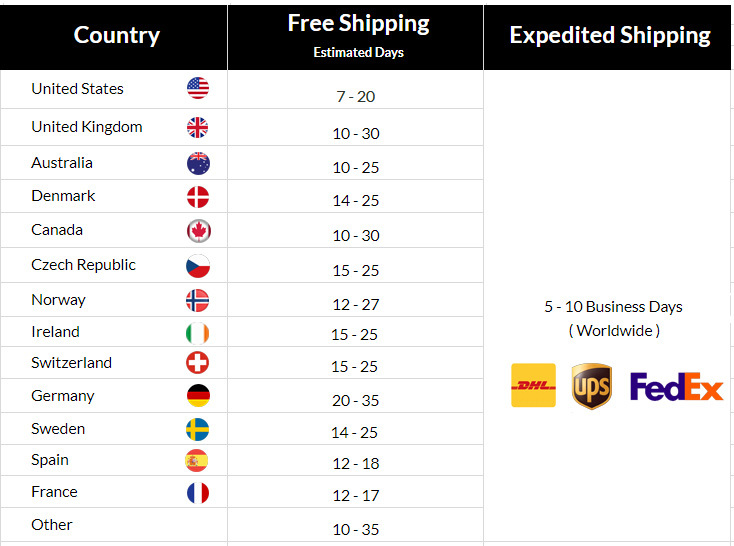 They make a smart and affordable choice for the office, weddings, proms, and many other special occasions.